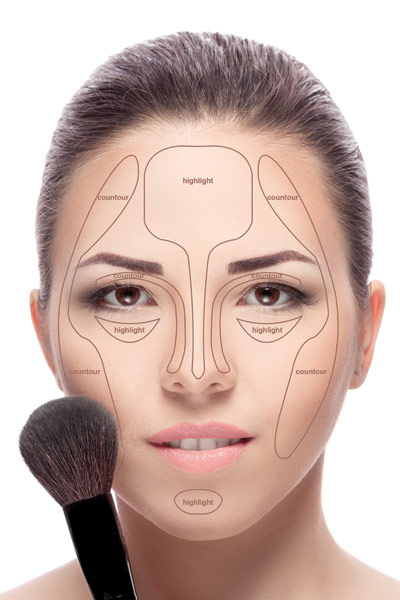 Contouring and highlighting are effective methods for enhancing facial features when done correctly. In case you haven’t been following these mega trends, contouring is the use of shadows to slim the face and minimize undesirable features, whereas highlighting is the use of light to bring forward certain features. The fascination with contouring and highlighting has been gaining popularity, and public interest is not likely to wane anytime soon. Back in the day, let’s call it before Kardashian (BK), artists used whatever was available to create a highlight. If the color was right, and the reflective particle size was small enough, it worked great. The majority of clients that came to a makeup counter were amazed when the artist did a two-minute cheek with blush, bronzer and satin shimmer highlighter, and they would generally purchase all three products. If it wasn’t in their budget, this artist would tell them to purchase the blush and the bronzer, and use a satin shimmer eyeshadow on the tops of the cheekbones to highlight. With today’s prevalence of social networking platforms, and interactive features such as store locaters and user reviews, customer engagement is greatly encouraged. Not only has brand loyalty increased, but the desire to purchase new makeup technology has also increased. The visual medium of contouring and highlighting seems to be an allure that trendy and loyal clients alike cannot resist. These trends are all about marketing. Contouring was already valued at around 8 million dollars in 2014, which jumped to approximately 29 million in 2015. Marketers are fully realizing the value of advertising potential on social networks and blogs. In 2013, out of 14.9 billion beauty industry related videos, approximately 9.8 billion were makeup tutorials generated by beauty vloggers. Those numbers appear to be on a meteoric rise. Anyone old enough to hold a blush brush can search “contour,” and millions of vloggers are instantly at their fingertips with detailed contouring tutorials. There has been a surge in high-definition makeup sales over the last few years, especially in the reflective products used in makeup’s newest trend—strobing. Strobing is layering highlighters on high points of the face with varying degrees of reflect-ability to illuminate and define the features. Another trend emerging on social networking platforms is extreme contouring. With photo editing and sophisticated filters on cell phone cameras, the perception of beauty is becoming distorted. What cannot be distorted, however, is the face to face reality of lighting. As most of us are already aware, daylight and fluorescent lighting can be quite harsh, showcasing every little detail one might wish to hide. The objective for daytime contouring and highlighting should always be subtle, and new technology offers greater freedom to accomplish this goal. BB creams and CC creams provide natural color correction and blur the little imperfections for most clients. For clients that need full coverage such as those with oily, acneic skin, these combination products are not a viable solution. Oily, acneic skin. For this skin type and skin condition, minimal spot concealing, color correcting and a full coverage powder foundation are necessary. However, apply the powder foundation by tapping and rolling with a kabuki brush rather than a makeup sponge for a softer day application. Follow the long wearing powder foundation with a high-definition finishing powder or quality mineral powder with good optics to reflect away from textural and post-inflammatory issues. For daytime, avoid heavy contouring and strobing with this skin type. A satin powder bronzer in a neutral flattering tone can be applied to areas that need to be minimized, especially on the underside of the cheekbone. A slightly lighter high-definition powder can be used for a natural highlight on the highpoints of the face that need to be accentuated. Follow with a subtle satin shimmer powder (if necessary) minimally on the top of the cheek bones to feature them, as long as there are no breakouts in this area, or the shimmer will illuminate them. Dry/combination skin. For combination to dry skin, the daytime contouring and highlighting theme is the same—natural. BB, CC or DD creams can be used alone or mixed with a touch of high-definition foundation. This will color perfect the undertone and offset the whitening effects of the high titanium dioxide percentages in many of these products, while still appearing natural and blurring the signs of imperfections. Contouring for dry skin can be effective yet natural when using a soft cream bronzer and highlighter. A blush of color on the outer part of the cheekbone should taper off gradually moving towards the iris. This will help avoid the clown cheek look. Many people with petite faces are challenged by the blush or bronzer invading the orbital area, or nasolabial area, which closes off the face and looks unnatural. To correct this mistake, take a hint of the foundation on the fingertips and gently tap around the invaded area. This gives a natural, gentle transition of color and a sculpting effect. Combination/oily skin. If the skin is combination oily, the cream contouring and highlighting should be replaced with mineral or high-definition powdered products. A subtle brush application should still be observed, rather than a beauty sponge, which can appear heavy under harsh lighting. If a bit more coverage is necessary, use the sponge or blender application, followed by a favorite setting spray or botanical mist. Stipple at the end of the application. If the application of contouring and highlighting is harsh or invades the nasolabial, orbital or lower cheek area, it must be corrected in the same manner. Use either with a hint of the liquid foundation or high-definition powder foundation that matches the skin tone or slightly lighter in the areas to be highlighted. If these subtleties for daytime application are not observed, photographs will appear either shiny and greasy, or harsh and striped. For evening application use all of the tutorial inspired or natural artistic ability possessed to transform the client into their diva self. Evening and incandescent lighting will mask textural and pigment related imperfections. Color correction can be used to neutralize large areas of dark pigmentation, (a version of orange), as it is the complimentary for blue (dark pigment translates as blue or grey). Use a full coverage foundation over the corrector and apply a full coverage powder foundation over that for added coverage when needed. Let it set. Knowledgeable artists have always allowed product to warm up on the skin, or expedite the process by spraying and stippling in a light toner during the application. Allowing the powder to sit on the face and set with the body’s heat is called “baking.” Especially for powder foundation, the preferred method is to lightly spray the face and then stipple. This will assure that the coverage is diffused and set evenly without any hotspots. If desired, a direct moistening of the sponge can be implemented to stipple liquid foundation that has already been applied, but know that this will create a more sheer and natural look (not always the goal for evening makeup). 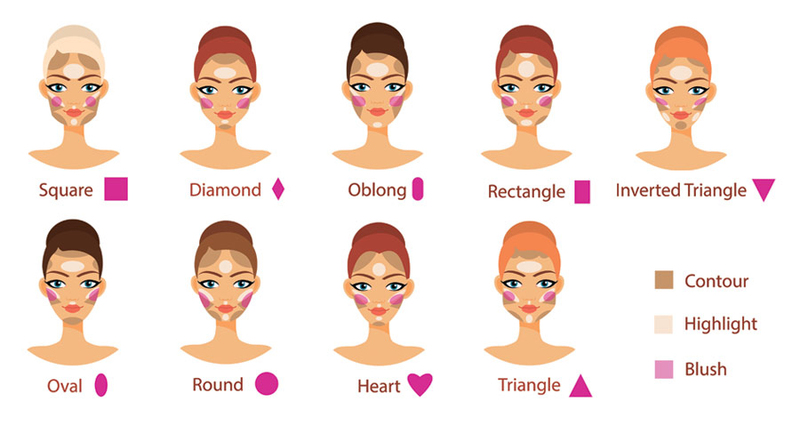 Face shape. Contours should be applied about four shades lighter and four shades darker due to the low lighting. Gradate the color value for a nicer transition. While contouring can be more extreme for low light, do respect the bone structure. If a face is long and narrow, contour on more of a horizontal plane (see Contouring for Facial Shape). If the face is short and round, contour on a more angular fashion. Petite faces require the use of smaller brushes. It is still important not to close off the features by letting the contour invade mid-grade or highlighted areas. Textures. Play with textures for evening makeup. For example, use a warmer satin bronzer which reflects a bit of light with a medium size brush on the underside of the cheekbone, and taper off as it meets the luminous blush on the cheekbone. Take a neutral or cool/neutral matte bronzer with a thinner or more angular brush and cut just under the cheekbone. Use a warmer satin shimmer liberally on top of the cheekbone, and a platinum metallic shimmer conservatively on the crest of the cheekbone with a smaller brush. This is the time to utilize your creative talents. The beauty industry stimulates the economy and is a source of enjoyment, entertainment and income for millions of people. Whether a natural daytime look or a dramatic evening look is desired, there are thousands of products available to help achieve the desired effect. Creativity and artistic ability are amazing and fulfilling attributes, and they should be nurtured and cultivated. Just remember to keep an objective perspective when comparing one’s self-image to the highly altered state of reality that we’re inundated with on all fronts of social media. 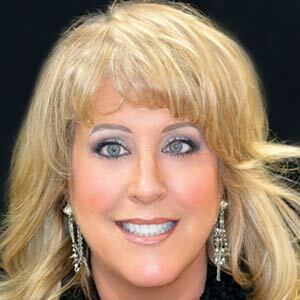 Lisa Shor is the director of makeup education for The Art Institute of Makeup, a division of the New Age Spa Institute (a CIDESCO-accredited school). In addition, she is a licensed esthetics educator and a member of the editorial team at The New Age Spa Institute. She can be contacted at lisa@newagespainstitute.com.